It occurred to me then that there are, in fact, several “old fashioned” things and concepts, like payphones, my kids will simply never understand thanks to modern technology! How to fold a map - My kids will just enter an address into an app. Then, some strange woman with an Australian accent will give them step-by-step directions to their destination – no map required. How to look something up in an Encyclopedia or Dictionary – Let’s face it – they’ll just Google it. 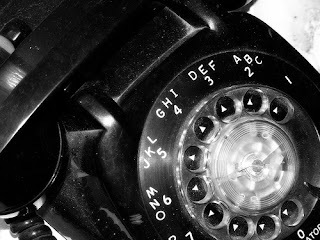 How it feels to be tethered to the wall when talking on the phone – When my family got a cordless phone, I thought it was so cool that I could take the phone to my room and shut the door! Nowadays, we can walk around almost anywhere and even drive our cars while we talk on our phones. Traveler’s checks – Do they even make these anymore? Before we went on a vacation, my parents went by the bank to trade cash for these little ditties. These days, everyone just uses plastic. Being limited to three TV channels – Back in the day, we only had the Big Three – NBC, CBS, ABC. There was no FOX, CNN, MTV, Disney, or Nickelodeon. Today, it is absolutely mind boggling how many channels and mind numbing shows are available. 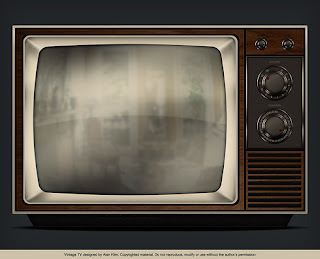 Walking across the room to change the channel – When I was a kid, I was the remote control. Now, we have so many remotes that I don’t even know what half of them are for! VHS and Cassette tapes – Last summer, I was showing a movie on VHS to a group of kids at our church. As they impatiently waited, I told them I had to rewind it to the beginning. Most of them didn’t even know what “rewind” meant. The sound of a dial up modem – Modern kids would probably think Earth is being invaded by aliens or zombies if they heard the sound that anyone over 30 would instantly recognize as the doorbell to the Internet. How to entertain themselves on a road trip by playing the license plate game and singing “99 Bottles of Pop on the wall” a few dozen times – Even ten years ago when my kids were toddlers, we had a minivan with a DVD player. Now, newer model cars come fully quipped with wifi and our kids are fully equipped with devices to stave of boredom (and save our sanity) if we plan to be in the car for longer than 20 minutes. 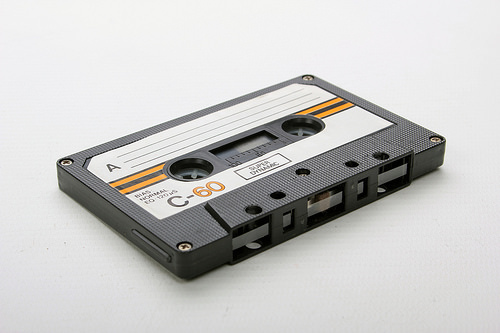 Giving someone you care about the gift of a Mix Tape – I can remember sitting by the radio for hours with my tape recorder ready just waiting for that certain song to come on so I could record it. Thanks to iTunes, we will never have to do that again. Flipping through a photo album – Remember the days of loading the film into your camera, watching the number tick lower with each photo you snapped, dropping the film at the drug store, going back a few days later to see what you actually captured, then organizing them in a photo album? For my kids, Instagram is their photo album. Many “youngsters” will probably never even own a camera – they will just use their cell phones. Modern technology has certainly made our lives easier and I will be the first to admit that I love my contemporary conveniences. 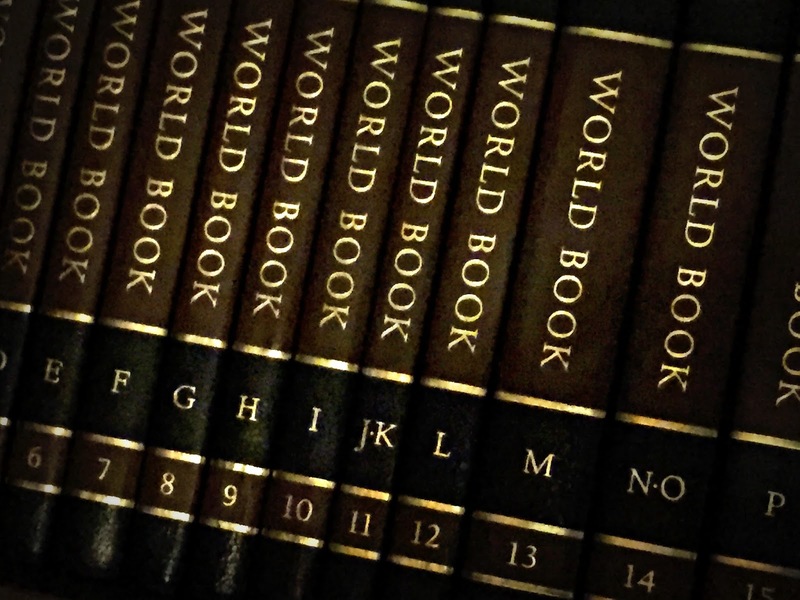 However, it does make me a little sad that my kids will never experience the smell of an old Encyclopedia or the excitement of waiting for that song to finally come on the radio. I can only imagine how ancient our current advancements will seem to my grandkids another 25 years from now! My girls definitely don't remember any of these and never will, but like you I totally can never forget any of the above, especially only having three TV channels and having to actually get up to change a channel instead of remote surfing. Seriously, we have come a long way, but wonder how much further we will advance in years to come now, as well. I too was the TV channel changer. lol I also made mix tapes for friends and special someones. I found one not too long ago and laughed because I had no way of even playing it now. Our kiddos also will never lnow the joy of Saturday Morning cartoons. The one day of the week when they played all the cartoons. YEs! Your girls are even younger than mine, so I'm sure these things will really seem like ancient history to them! Thinking about where we will be in the future is exciting and terrifying. Oh, Saturday Morning cartoons!!! That's a great addition to the list! When I was around 5 or 6 my mom actually signed me up for a Saturday morning dance class. I hated it because the teacher was mean and I had to miss my favorite cartoons! :-) I didn't last long in that class. We purchased the full World Book set with the Childcraft books and Welcome to Reading and about 70gazillion other things, and I MAKE Dietrich look things up with me when he asks questions about a topic and we learn together (I do resort to google when the Books seem to leave out information specific to his question or one of my own). I also make photo albums through Snapfish or Shutterfly, but before I discovered that I loved making the scrapbooks myself. Dietrich and Madilynn both enjoy flipping through the pictures. Some of their baby pictures look so similar they don't identify themselves correctly. The VHS portion of our combo player is currently working better than the DVD side, leaving us to use the X-box for DVD playing (and it's up higher than they can reach for so many reasons). Hoping to link up today but my blog is being transferred to my own personal domain! Really enjoyed this list and your stories! We used to lay on the floor in front of the TV so we could change channels with out toes. Man! We thought that was genius, and then along come remote controls!! My kids don't understand commercial breaks. We used to rush to the bathroom and then get a snack from the kitchen and try to make it back before the show came back on. Now they just pause whatever they are watching! Oh yes! To think that we didn't even have television in India while I was a kid! How far we've come. Hard to explain this to the new generation. Great post, Lisa! 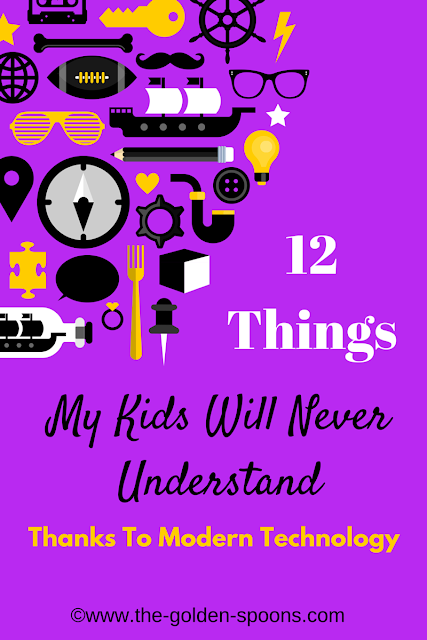 I totally remember so many of those things, and I am happy to say that my kids do know a couple of them...we have a huge set of Encyclopedias in our upstairs library. They also grew up with VHS, because that was what we had. Oh and three channels was a real nightmare if the President was on! LOL! Have an amazing week! Thanks, Angela! Good luck with the transfer! Yes! My hubby is even bad with the commercials thanks to the ease of the remote -as soon as a commercial comes on, he just changed the channel (again and again and again!). 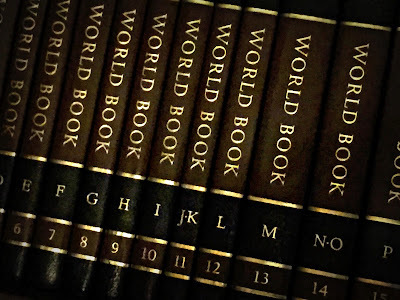 I think my dad still has our Encyclopedia Britannica collection and part of me is just sad that our kids will never, ya know? Also the rotary phones and waiting to tape my songs and yeah, all of it. I miss those days, so much. They were definitely simpler days - though in a more complicated way.